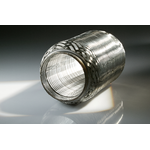 BOA flexible gas-tight metal solutions support the decoupling of movements in exhaust systems and engine vibrations as well as the return of exhaust gas and oil in petrol and diesel engines. We develop, validate, deliver and take the responsibility for the complete solution. We will expand our customer base and we are looking to generate new contacts.